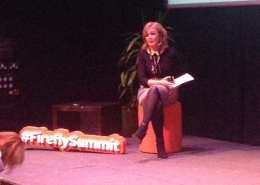 Eimear Kenny is Firefly's UK based Client Support Lead. 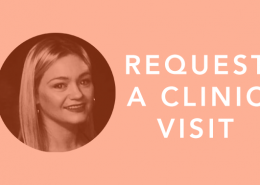 Eimear is on hand to guide you through any challenges you have prescribing custom made foot orthoses. Brexit presents many challenges, particularly for Irish companies whose UK exports account for a significant portion of their business. Firefly recently featured as such a case study for the Atlantic Economic Corridor. 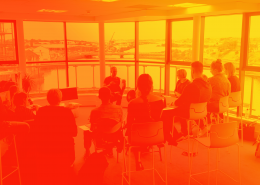 Discover how Firefly is focusing on the opportunities presented in the wake of Brexit, despite the political instability. 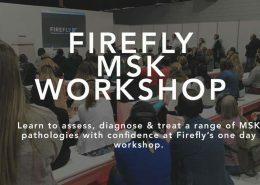 This weekend the Firefly MSK Workshop takes place in Central London. 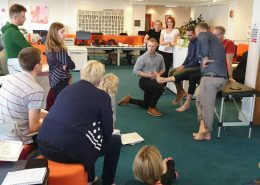 The event is proving increasingly popular among podiatrists seeking to up-skill in the area of MSK and biomechanics. With just a month to go until our March MSK Workshop in London, Martin Mc Geough discusses his prescription writing module designed to simplify the prescription writing process. Click to learn more and book your place. 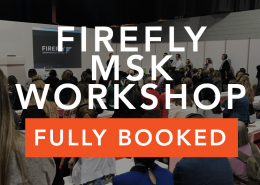 Firefly's next MSK Workshop is scheduled for March 2nd in Central London. 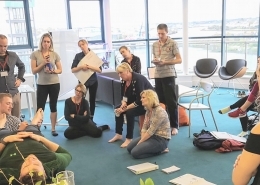 Build your confidence in the area of musculoskeletal podiatry with our one day practical workshop and learn how to treat complex foot and ankle pathologies. 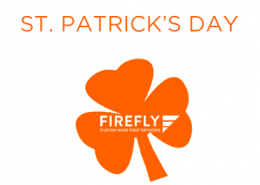 https://www.fireflyorthoses.com/wp-content/uploads/colour.png 1824 3648 Conor https://www.fireflyorthoses.com/wp-content/themes/firefly/images/firefly-custom-made-foot-othoses-logo-black.png Conor2019-01-15 12:32:502019-01-18 16:28:11Tickets for Firefly's London MSK Workshop are Live! Correctly positioning the foot is one of the greatest challenges when capturing patient food data with digital scanning technology. We thing we've found a simple and affective solution. 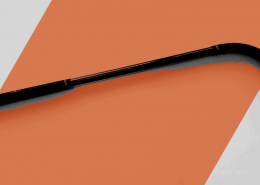 https://www.fireflyorthoses.com/wp-content/uploads/sulcus-stick.png 566 1080 Conor https://www.fireflyorthoses.com/wp-content/themes/firefly/images/firefly-custom-made-foot-othoses-logo-black.png Conor2018-11-20 10:49:182018-11-20 14:09:57Digital Scanning: But how am I supposed to position the foot? FireFirefly Orthoses will be closed for a period of time over the Christmas and New Years period. 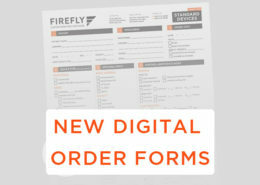 To receive orders to your clinic before Christmas, complete prescriptions must be submitted to Firefly no later than Friday November 30th 2018. 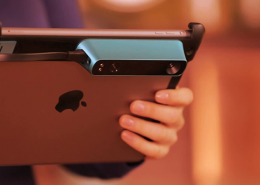 Patient foot data can now be captured using digital scanning with iPad and scanning technology. 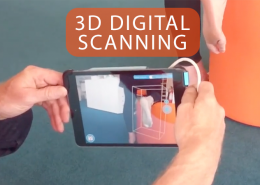 Dr Doug Richie, the creator of the Richie Brace AFO demonstrates how US based practitioners can quickly and efficiently capture data using the structure sensor scanner and how best to position the patients foot. Firefly recently welcomed a group of 10 RRU podiatrists for a busy day's training at Firefly Orthoses HQ in Sligo. 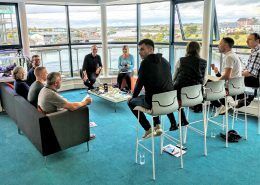 Find out what they got up to for their 24 hours in Sligo. 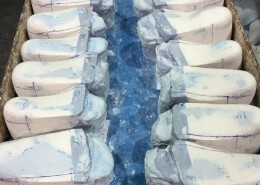 Bracing therapy is a growing prescription solution in the field of podiatry. At October's Firefly MSK Workshop learn what pathologies can be treated with the Richie Brace and how to prescribe this AFO. The Richie Brace is a game changer. It can fundamentally change the patient's life, elevating pain and significantly improving mobility. Read this great patient outcome from Tweed Podiatry and find out how you can prescribe the Richie Brace range of AFOs in your clinic. 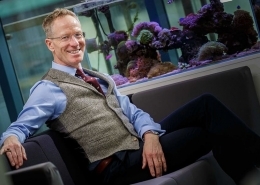 Firefly Founder and Medical Director Martin Mc Geough will be among the speakers at October's Firefly MSK Workshop where he will deliver his prescription writing pearls of wisdom. 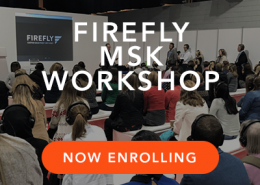 The Firefly MSK Workshop is a one-day theoretical and practical CPD event, designed with the aim of up-skilling and building clinical knowledge. 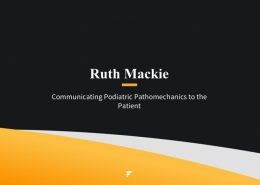 Ruth Mackie's rapid-fire presentation focuses on the metaphors and analogies she has discovered across her career that helps her communicate complex pathologies to the uninitiated patient. Discover Ruth's clinical gold! 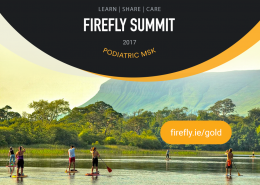 The next Firefly MSK Workshop takes place October 20th in Sligo, the home of Firefly Orthoses. Join the mailing list to to keep up to date with all the workshop news. Managing load is key to successfully treating Medial Tibial Stress Syndrome [MTSS] in the athletic patient. 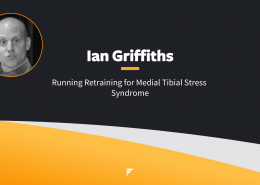 Ian's presentation explores why some athletes experience tibial pain while others don't and what are the options available to offer treatment? 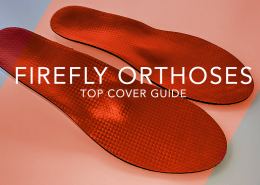 All Firefly Orthoses devices are finished with a top cover, adding comfort for the patient and improving the aesthetic look of the finished orthotic device. This article explains all our top cover offerings. New to prescribing foot orthoses or want grow your podiatric business by adding custom devices to your clinical offering? This guide gives you the low-down on prescribing foot orthoses. The fundamentals. Software is playing an ever-increasing role in aiding the podiatrist's decision-making process in-clinic, introducing greater accuracy of diagnosis. In this rapid-fire presentation, Trevor explains how he uses 3D gait analysis to acquire a more complete picture of a patient's gait cycle. Get repeat order orthoses at a reduced rate for the month of June. Firefly are offering podiatrists the opportunity to oder second set devices at a discounted rate of 25% off the listed price. With studies suggesting as many as 20% of patients presenting to podiatry clinics suffer from plantar fasciitis, you need to view Eileen Dolan's Firefly Summit rapid fire presentation. Firefly Orthoses Ltd. have been awarded European Regional Development Funding to aid company research and development projects. 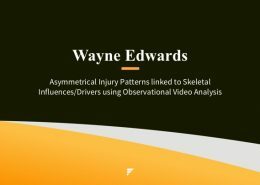 Wayne's presentation explores how to assess and identify such common injury patterns and describes how to use video gait analysis to direct effective management plans for asymmetrical injury in the lower limb / foot. 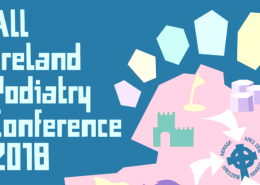 Firefly will be exhibiting at the 2018 All Ireland Podiatry Conference where we will also be delivering a workshop on prescribing custom made foot orthoses. Physiotherapist Katherine Cook's Firefly Summit presentation explores the critical assessment of patients for leg length discrepancy [LLD] and whether any such difference is clinically relevant. 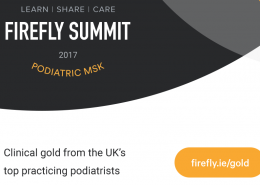 MSK Podiatrist John Chadwick discusses imaging techniques in the identification of TMTJ arthritis, when and why to implement intra-articular corticosteroid injections and orthotic therapy as treatment options in the latest of our Firefly Summit rapid fire presentations. Saturday March 17th is Saint Patrick's Day and a national holiday in the Republic of Ireland. 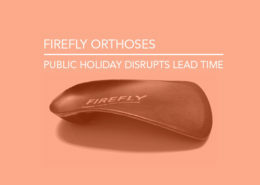 As it falls on a Saturday, Monday March 19th is public holiday and so Firefly Orthoses will be closed on this date. 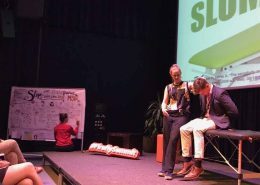 Hannah Watkinson presents “Neurodynamic Testing – Slump and SLR” exploring the connection between back pathologies and radicular leg pain in the 5th Firefly Summit rapid fire presentation. 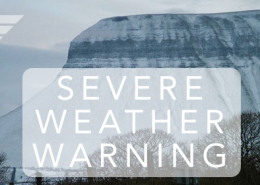 Due to the national status red weather warning, as a result of arctic conditions, Firefly will be closed from 1300hrs on Thursday March 1st and may not reopen until Monday March 5th. Emily Ball is our fourth speaker to feature as part of our Firefly Summit rapid-fire series. 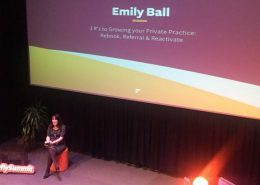 Emily's presentation details three low, to no cost strategies designed to build your clinic and develop patient loyalty. 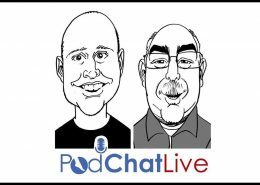 Watch the latest episode of PodChatLive as it lifts the curtain on life at the foot orthoses lab and features Firefly's own Martin Mc Geough and Artur Maliszewski of Australian manufacturer Footwork Podiatric Lab. 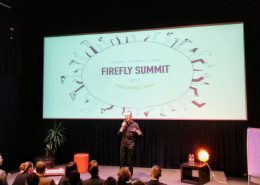 Every fortnight we feature a speaker who presented a rapid-fire presentation at the Firefly Summit. 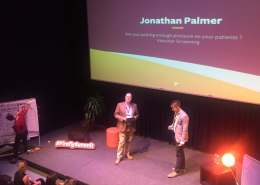 Exeter podiatrist Jon Palmer's presentation focused on how combining vascular screening with MSK examinations can detect stroke symptoms or potential heart complications ahead of time. 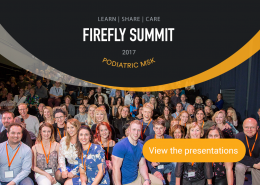 We continue our series looking back at the rapid-fire presentations during the #FireflySummit 2017, this week it's the turn of MSK Podiatrist Glen Foley. 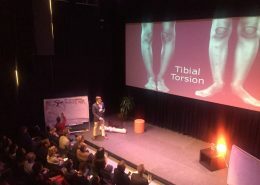 Glen's presentation encourages us to look deeper into the condition of Adult Rotational Deformity in the lower limb. Dates for your diary. Firefly will be closed during 10 public holidays across 2018. These dates reflect public holidays observed in the Republic of Ireland. 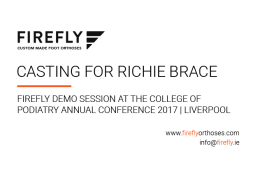 Every two weeks we feature one of the 21 speakers who presented rapid-fire presentations at the Firefly Summit 2017. 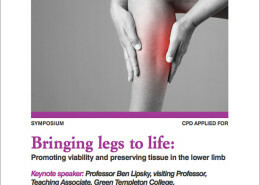 Each offering the unique insight from one of the UK and Ireland's leading practitioners who treat lower leg extremity. 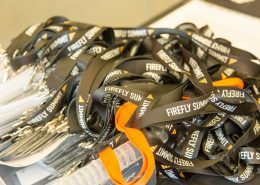 Firefly raised over £1,000 at the Firefly Summit 2017 during the Social Good Sessions. We're delighted to announce all monies have been distributed equally to each of the three projects that featured during the sessions. 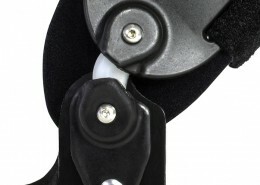 The Riche Brace range of AFOs are growing in popularity for the treatment of a range of hindfoot & ankle pathologies. 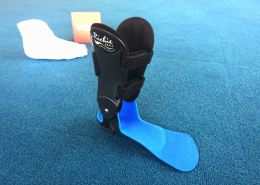 Find out how to cast for this innovative ankle foot orthoses and how you can grow the scope of your practice with this device. 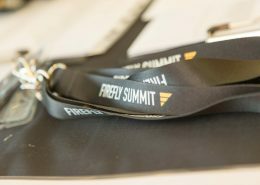 The presentations from the Firefly Summit are now free to view on the Firefly website. 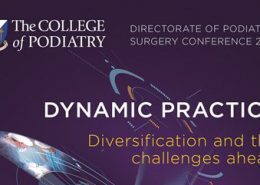 Watch 20 of the UK and Ireland's leading podiatrists offer their 'clinical gold' at the podiatric event of the year. 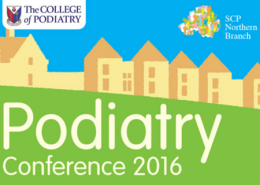 Make your visit to the College of Podiatry annual conference as beneficial as possible, let us know how Firefly can help you! 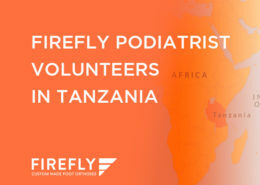 https://www.fireflyorthoses.com/wp-content/uploads/how-can-we-help.png 435 695 Conor https://www.fireflyorthoses.com/wp-content/themes/firefly/images/firefly-custom-made-foot-othoses-logo-black.png Conor2017-11-06 13:01:112017-11-06 13:07:02How can we help? The argument for introducing digital scanning to your prescription work-flow is compelling. Arrive at positive patient outcomes faster, reduce administrative burden and add greater efficiency to your clinic. 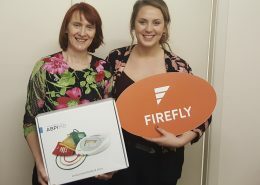 Galway podiatrist Angela McAnearney was the lucky winner of the much sought after MESI ABPI MD diagnostic machine at the recent #FireflySummit. The podiatric event of the year isn't all about podiatry. Delegates of the Firefly Summit 2017 will be experiencing all the very best Sligo has to offer. Find out just what they'll be getting up to. The Foot Project to Bring Aid to Migrant Crisis. The Foot Project team are preparing for their second trip to Greece to treat migrants that have landed in Europe. https://www.fireflyorthoses.com/wp-content/uploads/the-foot-project-greece.jpg 450 845 Conor https://www.fireflyorthoses.com/wp-content/themes/firefly/images/firefly-custom-made-foot-othoses-logo-black.png Conor2017-07-25 12:54:032017-07-25 12:57:25The Foot Project to Bring Aid to Migrant Crisis. 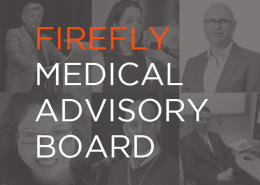 Firefly Orthoses announce the formation of a Medical Advisory Board. Find out more about the seven internationally renowned professionals whom who offer insight and direction to Firefly Orthoses. Firefly Orthoses are exhibiting at the SCP Northern Ireland Conference in County Down this weekend. Make sure to visit Maurya and Sorcha at our stand in the Slieve Donard Resort. Firefly Orthoses will be closed Friday, March 17th and reopen on Monday 20th. March 17th is a national holiday in Ireland, Saint Patrick's Day! Firefly Orthoses will be exhibiting at the upcoming Dynamic Practice conference in Coventry from March 16th to 18th. 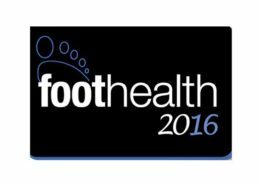 Find out about the most unique podiatric event taking place in 2017. The UK & Ireland's top podiatric professionals will share their clinical gold in the wonderful surrounds of Sligo, Ireland on September 29th and 30th. The Foot Project saw a team of 6 podiatrists visit refugee camps in Greece in December 2016. Firefly donated a selection of over the counter orthoses which were prescribed refugee patients who could benefit from orthoses. 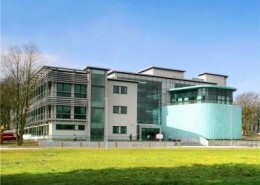 Plymouth University announces the Firefly scholarship. 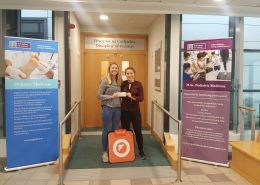 The scholarship is for two final year school of podiatry students for the 2017/18 academic year. 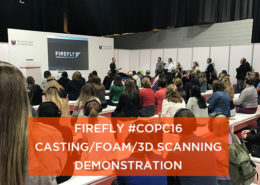 Due to the popularity of our casting demonstration session at the College of Podiatry Annual Conference 2016 we've uploaded the full 15 minutes of the demo to our website. 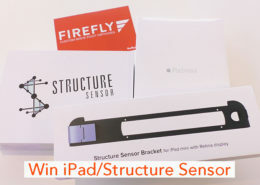 Win an iPad and Structure Sensor 3D scanner at the Firefly stand at this year's College of Podiatry Conference in Glasgow. 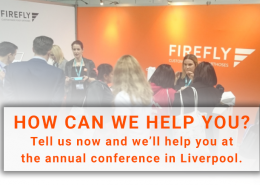 Find out all Firefly will be offering at this year's #COPC16. We're introducing 3D scanners, hosting two workshops and launching our new over the counter NSOLS orthotics. 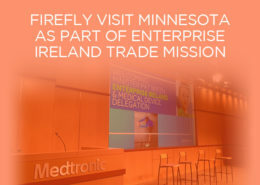 Martin McGeough of Firefly joins up with Enterprise Ireland trade mission to US mid-west. The trip focuses on developing connections between the regions MedTech companies and related Irish industry. 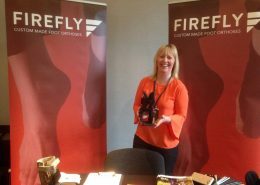 Claire Forbes, Jersey based podiatrist visits Firefly Orthoses where she picked up her new custom made foot orthoses. 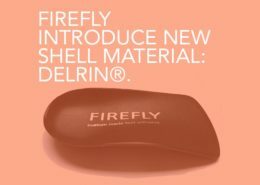 We've added DELRIN® to our range of orthotic shell materials. DELRIN® offers compact density and high tensile strength to facilitate an ultra-thin orthotic. Firefly Orthoses will be attending the forthcoming Podiatric Sports Medicine Conference at the Royal College of Surgeons, London, 2016. 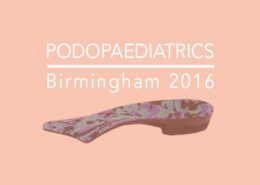 Firefly Orthoses will be attending Podopaediatrics on July 1st. The event takes place at the Holiday Inn, Birmingham City Centre. Claire Carr will be attending the event for Firefly. https://www.fireflyorthoses.com/wp-content/uploads/Podopaediatrics.jpg 450 845 Conor https://www.fireflyorthoses.com/wp-content/themes/firefly/images/firefly-custom-made-foot-othoses-logo-black.png Conor2016-06-29 15:46:362016-07-01 09:48:44Podopaediatrics Conference 2016, Birmingham. This week Firefly Orthoses will be attending the i-FAB conference in Berlin. 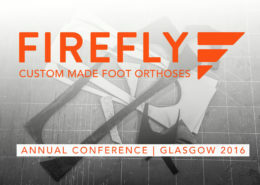 The conference runs as part of Foot International 2016.
https://www.fireflyorthoses.com/wp-content/uploads/2016-i-FAB.jpg 450 845 Conor https://www.fireflyorthoses.com/wp-content/themes/firefly/images/firefly-custom-made-foot-othoses-logo-black.png Conor2016-06-20 13:55:302016-06-24 09:44:08FIREFLY attending i-FAB 2016, Berlin. 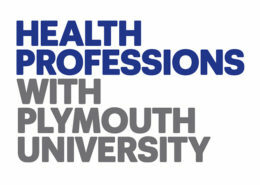 Firefly Orthoses recently supported Plymouth University's promotion of their Podiatry degree. Find out more about the degree programme here. 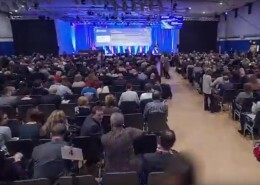 Keep up to date on all the conferences, events and expos Firefly Orthoses is attending this year, including the Foot International Conference in Berlin. 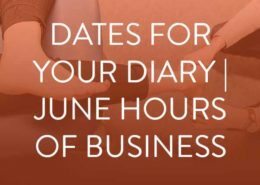 Please note, Firefly Orthoses will be closed on two dates during June 2016. Our offices will be closed on Friday, June 3rd and Monday, June 6th. 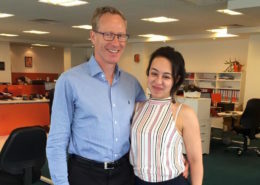 Firefly Orthoses recently welcomed London based Podiatrist Alaa Razak to our offices and lab. Alaa is the latest Podiatrist to visit Firefly. If you are interested in visiting you'll find relevant information in this article. As UK law, workplace dress codes and high heels collide, the Podiatry profession comes to the fore. 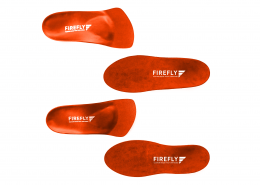 Among all this Firefly Orthoses can offer a solution to the pain caused by high heels. Analysis of recent literature relating to diabetes has produced The Management of the Diabetic Foot: A clinical practice guideline by the Society for Vascular Surgery in collaboration with the American Podiatric Medical Association and the Society for Vascular Medicine in the United States. Firefly are attending the SCP Conference in Fermanagh, Northern Ireland. Martin, Greg, Maurya and Nicola are all there flying the flag. 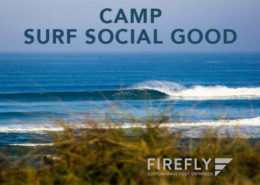 Come visit Firefly on the beautiful north west coast of Ireland. Meet the staff and gain a fuller understanding of our products and services. Firefly Founder and Medical Director, Martin McGeough visited National University of Ireland, Galway's School of Health Sciences to guest lecture to Podiatric Medicine students. https://www.fireflyorthoses.com/wp-content/uploads/SCPI-Cork.jpg 720 1280 Conor https://www.fireflyorthoses.com/wp-content/themes/firefly/images/firefly-custom-made-foot-othoses-logo-black.png Conor2016-04-08 17:01:532016-04-09 10:11:18Firefly attending conferences in Cork and Wales this weekend. After concluding our SOLS RX trial programme, Firefly bring you an overview of the feedback collected regarding the prescription 3D printed custom made orthoses. 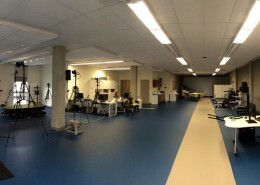 Firefly visits Fortius Sport & Health - Vancouver. Firefly's Martin McGeough continues his North American adventure as he visits Fortius Sport & Health in Vancouver, British Colombia, Canada. https://www.fireflyorthoses.com/wp-content/uploads/Fortius4.jpg 574 1280 Conor https://www.fireflyorthoses.com/wp-content/themes/firefly/images/firefly-custom-made-foot-othoses-logo-black.png Conor2016-03-16 17:07:502016-03-18 09:30:18Firefly visits Fortius Sport & Health - Vancouver. 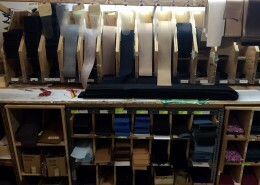 Martin McGeough's North American tour moves north and into Canada where he's visiting more contract orthotic fabricators. Firefly's office will close over the forthcoming public holidays. Firefly founder Martin McGeough continues his travels across the US. This week he's visiting contract orthotic fabricators. Firefly @ AAOS Annual Meeting - Florida. Firefly Orthoses are attending the American Association of Orthopaedic Surgeons Conference in Orlando. 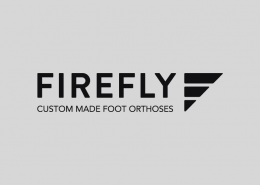 https://www.fireflyorthoses.com/wp-content/uploads/AAOS-LOGO-COLOR-1.jpg 450 845 Conor https://www.fireflyorthoses.com/wp-content/themes/firefly/images/firefly-custom-made-foot-othoses-logo-black.png Conor2016-03-01 16:58:032016-03-03 14:26:25Firefly @ AAOS Annual Meeting - Florida. 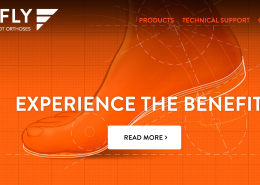 Firefly Orthoses wish to present our new, innovative website. 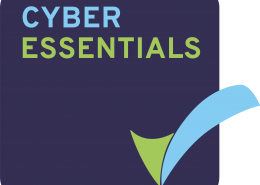 We're delighted to bring you a digital resource designed to offer greater insight in to our product range. Over 60 Podiatrists get to trial SOLS, the next generation 3D printed orthoses at Harrogate Conference. 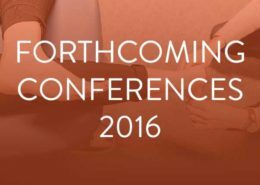 Register your interest in receiving complementary SOLS Rx Orthoses at the annual conference. Recently, on social media questions have been asked about the effect of technology on the Podiatry profession. 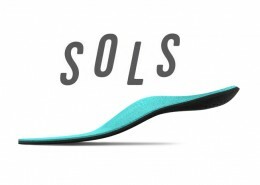 Are you interested in trialing SOLS 3D printed orthoses? 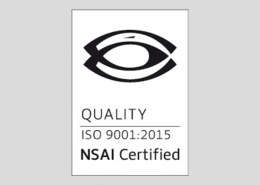 We’ve received a number of requests from clinicians requesting info on the process of how Firefly design and manufacture custom-made orthoses. With this in mind, we’ve created an overview of the steps taken between casting a patient’s foot to fitting the finished orthoses. Firefly's Technical Manager Ines Labberte will be attending this year's Podopaediatrics SIG Conference. 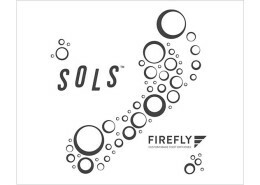 Firefly have partnered with SOLS to bring you 3D printed orthoses using Apple devices. 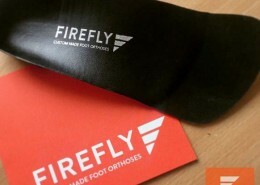 Firefly Orthoses sponsors the most recent addition of The Physio Matters Podcast featuring an extensive interview with podiatrist Ian Griffiths.